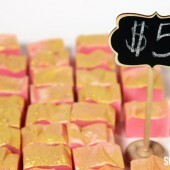 Lip gloss, lip shimmers, lip conditioners, lip sheers, lip balms and lip butters are all very easy and inexpensive to make. Generally, they are a mixture of oils and waxes combined to heal and soothe dry or chapped lips (and sometimes, they provide a bit of color as well). 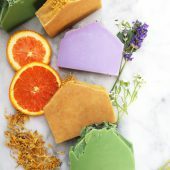 You can create an all-natural mixture using edible essential oils and nourishing vegetable butters or you can get wild and make them sparkly and decadent with micas and flavors. 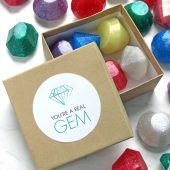 But a word of warning – once you start making your own beautifully hand crafted lip balms, you won’t be able to buy another mediocre, manufactured, tube of low quality oil and wax again. 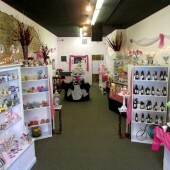 We’re all addicted to our homemade creations here and, it’s a good thing! What is the difference between lipstick and lip balm? Quite simply, it’s the color; lipstick’s primary purpose is to color or ‘stain’ your lips, while lip balm’s primary purpose is to relieve dry or chapped lips. They can be dual purpose however. Often lipsticks will have those extra moisturizing oils as well but give you that added benefit of staining your lips. Lipstick is all about the color and lip balm is all about the protective cover but the two can happily intermingle in purpose. How do you make lip balm? Step One: Combine the Beeswax, Sweet Almond Oil and Coconut Oil in a heat safe container and heat in the microwave for 2 minutes. Stir the mixture half way through to ensure even mixing. Step Two: Once the beeswax is melted, stir in the Shea Butter. 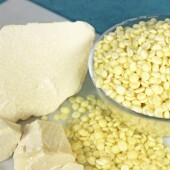 Heat in the microwave for 30 seconds if the Shea Butter does not melt all the way down with gentle stirring. 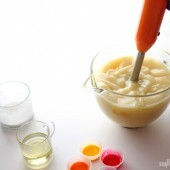 Step Three: Once the mixture is completely melted, mix in the Lip Safe Colorant and Flavor Oil. 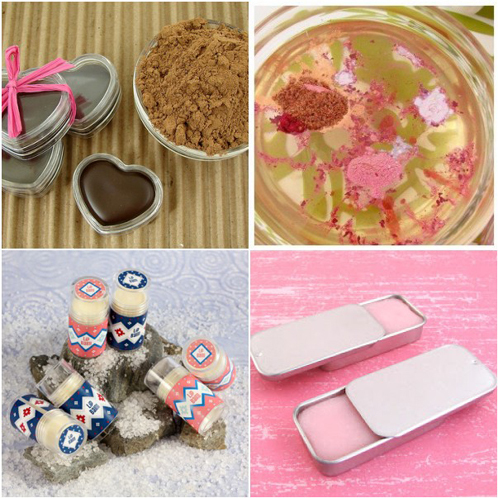 Step Four: Pour your mixture in your choice of lip balm container (Lip Butter Pot, Clear Chapstick Tubes, Daisy Lip Butter Pots, Heart Lip Butter Pot, Clear Lip Butter Pots, or Slidey Lip Tins). Number One Rule: Always use lip safe flavors and colorants! 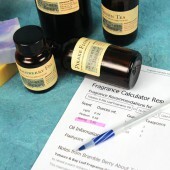 Fragrance oils are not approved for use on lips and not all colorants are okay for lips. Check with your vendor if you’re ever unsure. 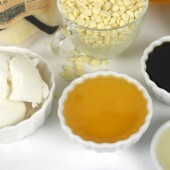 Extracts, from the store in the baking section, usually will not mix with your oils/wax mixture. 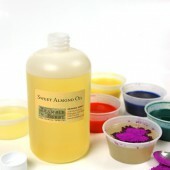 Food coloring does not mix into oils and waxes. 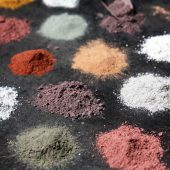 Colorants: Coloring can be so much fun, but you don’t want to go to the extremes in lip balms (that’s more for lipsticks). What is “extreme” you ask? In order to turn your lips any color that really shows up and wows, you would need at least 5 to 6 tablespoons of of color in 2 ounces of lip balm base. To achieve the colors above (the lovely sheers), it doesn’t take much — one quarter teaspoon of color in an ounce of lip balm will get you a nice color in your balm without staining or coloring the lips. Remember, you can always remelt and add more color but you can’t ever take it out so when in doubt, add 10% more color each batch until you get the shade and hue that you love. 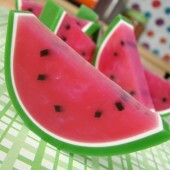 Flavor: Melt for 1 minute increments and then stir thoroughly so that the base is melted evenly. When the base is fully melted, use our lip balm flavors at their normal usage rate (3% to 5% of the total weight). This usage rate works out to .0025 oz weight of the lip balm flavoring per ounce of the lip balm base. You might consider making 10 oz batches at a time- then, you can use a .25 oz. of lip balm flavoring which might be easier to weigh out. If you use more, it’s not the end of the world – mostly just a waste of your money. Although, some flavors (such as Mint Julep and Root Beer) which use real essential oils might get tingly on the lips with too much in there. Remember, many flavor oils don’t so much ‘taste’ as give the illusion of taste through smell. If you want your lip balms to taste, you’ll want to use this sweetener or all-natural stevia (trickier to use but all natural). Warning: Never use a flavoring oil (or essential oil) that is a photosensitizer (a substance that is sensitive to the influence sunlight). Some common photosensitizer are citrus-type flavors like Lime, Bergamot, and Orange. How do I label lip balm? 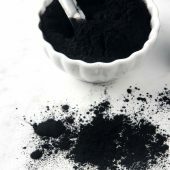 Ingredients: List ingredients from most used to least used (colorants are the exception to this rule, and you can just add those to the end of your ingredients). The names of the ingredients need to follow INCI (International Nomenclature of Cosmetic Ingredients) rules. Quantity: Here you list how much product (by weight, since lip balm is a solid) is in the container. Who Made It: You need to list the name of the maker of the product and where they are located. This means an address and not just a website. And that’s it! It really is super simple to label your lip balms and not as scary as you might have thought. 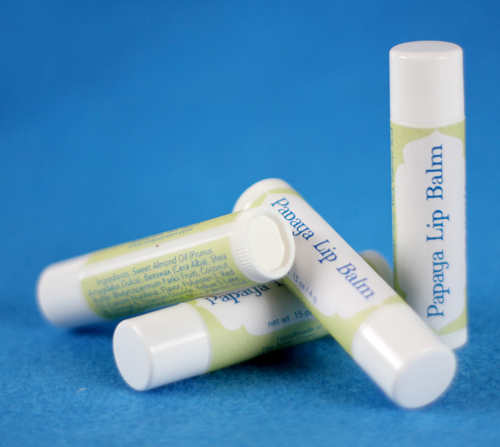 Check out this blog post on Labeling Your Products : Lip Balm for more information on how to label your lip balms. Help! My lip balm looks funny! Pouring lip balm takes forever, isn’t there an easier way? Have you ever tried to pour lip balm into each and every individual tube you are filling? It can take forever (or what seems like forever) if you are trying to fill individual tubes one at a time. Did you know that Bramble Berry carries a Lip Balm Pour Tray in which you can fill 50 lip balm tubes at the same time (how cool is that!)? All you do is attach your lip balm tubes to the tray and pour your lip balm…it really is that easy! For more information on how to use it, visit How To Fill 50 Lip Balm Tubes at Once. What is your favorite ingredient to put in lip balms? Right now, I’m obsessed with Meadowfoam Oil and Shea Butter. I’d love to hear what’s jazzing you up! P.S. 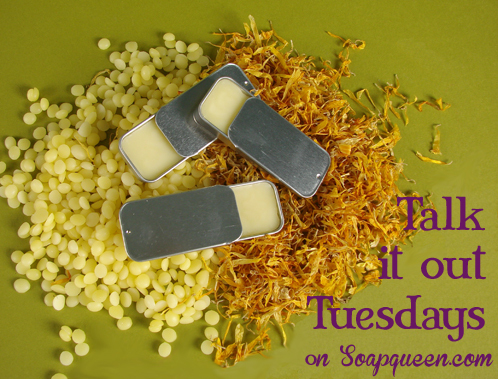 Check out all the posts in the Lip Balm category on the Soap Queen Blog for inspiration! I have been trying to make a lip balm similar to the consistency of eos. It’s not too oily or too waxy. I like the hard, yet creaminess of it. I’m trying to make it taste like mint chocolate as well. I’m getting more of an oily texture and it’s not tasting quite right (not as sweet as eos). It’s also “sweating”. Plus, would you recommend truvia granules over an oil sweetener? I do not want to use anything artificial. Thank you SO MUCH for your advice!I am getting a little frustrated! A trick that you may find helpful, is the “Spoon Trick.” This is a trick that allows you to test the texture, color or taste of your lip balm before the entire batch hardens up. Is it safe to use flavoring oils in lotions? Hmm, good question! I don’t see why not :). Flavor oils are basically lip safe fragrance oils, so they should be just fine for the rinse off products as well! 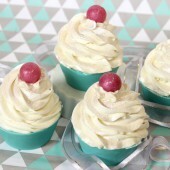 We do not have a recipe for whipped lip balm, but that’s a great idea! The consistency of our Lip Balm Base is quite firm. While we have never tried to whip it before, it may be too hard to do so without adding additional soft oils. I would recommend melting a small amount of the base down, and use a hand mixer to whip the base as it cools. I’m not sure if the consistency will be what you are looking for, but it’s worth a shot! One of my subjects require a product development project, I choose lip balm because I thought it would be easier. I get all of the do’s and don’ts in making it but my problem is I don’t know how would be the ratio for the ingredients. i would be happy if you could give me the ratio for this ingredients. I’m glad you’re going to give making lip balm a try! It sounds like your recipe is very similar to one of the recipes listed above! The ratio of ingredients depends on how you would like your lip balm to feel on the lips, ie: how hard or soft you’d like the lip balm to be. I know it can be frustrating trying to get something just right! 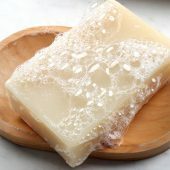 Your recipe looks good, but I might suggest taking out some of the liquid oils in favor of another wax, like Candellila. That will make for a harder balm, but it might also help it last longer! Candellila is known for giving balms shine and “slip,” and it can take the place of the olive and coconut oils 🙂 Use it at about 5 – 7% in your recipe. I would also suggest a bit of EcoSoya Advanced Wax. It is lip safe, and again helps to add hardness and stay power to your balm. Use it at about a 3 – 5% usage rate. 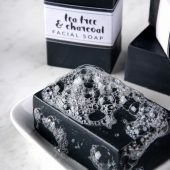 Hi Amanda, for labeling purposes, how do I find the INCI names for the ingredients I use? Is there a INCI directory or list available anywhere? Good question. On most products, we have provided the INCI on each product page. Although the “INCI name” (which usually means the Latin name) is commonly thought to be required, it isn’t – it’s optional. 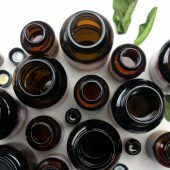 The FDA, in accordance with the Fair Packaging and Labeling Act, wants the common name as the primary name used for botanical ingredients in the ingredient declaration. For more information regarding labeling your products, you may find these blog posts helpful! PS – This blog never ceases to amaze me! Thank you for everything that you do! You are so awesome!! I tried using beet powder as a colorant for my lip balm and it didn’t dissolve too well in the oil-butter mix, what could i have done wrong? Also what can i do to increase the opacity of the color? While I have never tried using beet powder before in lip balms, I would recommend dispersing the powder in a small amount of oil first, then introducing this to the rest of your oils and butters. 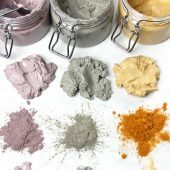 Using a mini mixer helps so much when dispersing pigments, we use it all the time when dispersing pigments and powders for soaping, or making lip balm! Thanks for this wonderful site. I am just starting to make lip balms. 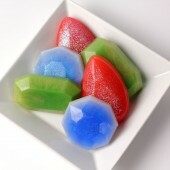 I was wondering if there is a particular way of adding the Colorants. 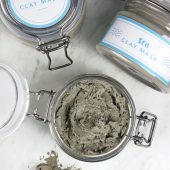 Should the powder be separately dissolved in some oil or can it be simply added to the melted lip base ? Also, if I want to add a flavor and the sweetener should I add 1-3% of each or the combination of the two should be within the range? Has anyone ever tried NOT using a butter in lip balm? Anyone have success with it, or like how it came out?? What subsitutions work? 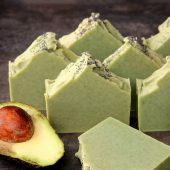 You could make a balm without butter, but instead use a combination of oils (Like Avocado Oil, or Coconut Oil) and wax. For our recipes using the Nourish Lip Balm Base, this is essentially what they are made of because the base consists of Coconut Oil, Candellila Wax, Avocado Oil and Sweet Almond Oil. Depending on how hard you’d like your balm to be, you may need to use a little more wax than usual because your balm would not have the butters to help harden the balm. To see if you like your mixture before pouring all your balm, I would recommend using the frozen spoon trick. Before mixing, place a spoon in the freezer for about 10 minutes. Then when your balm is in a liquid state, place the tip of the cold spoon into the mixture. This will instantly harden your balm, and you can see if you like the consistency/feel on your lips. That’s great advise, thanks so much!! Hi! I am wondering if there is a way to make the balm less shiny? It comes out perfect for me but since it is made up of mostly oils, it looks glossy on my husband & he wont use it. How can I make it less shiny? More beeswax? Hello! 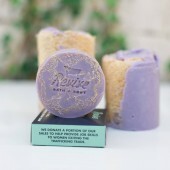 I am curious if anyone out there has had any luck using raw butters in their lip balms other than Shea butter. 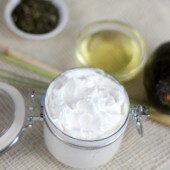 I am looking for something like shea, I loooove shea, but I HATE how tempermental it is!!! I have been tirelessly trying to figure out how to make my lip balms to where non of them will crystalize, finally I have tried last night to temper it at a low heat until it hit 175 degrees for 20-25 minutes and then froze it, hoping this will help, but I don’t want to do this all the time! It took a long time to temper, and I’m looking for something more time efficient! Any suggestions??? I know what you mean, Shea Butter can be tricky! 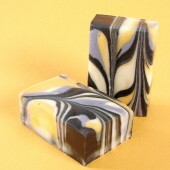 All butters tend to be a bit on the temperamental side, and will need to be melted at lower temperatures. I think that your fast freeze method will help a lot with the consistency of your final product. If you are wanting to give another butter a try, you may find Cocoa Butter easier to work with, I would give this recipe a try! Another option is to use the Nourish Lip Base. It’s a blend of lip loving oils and is really easy to work with! What can I add to my lipstick recipe to make the color last longer and not bleed out ? If you want to help your lip balm last longer and not bleed out, adding wax is a great idea. The wax helps your lipstick to be slightly harder, which assists in it staying on your lips! I would recommend either Beeswax or EcoSoya Advanced Wax! In my lip balm, if I’m using an aqueous additive such as glycerine, pro vitamin B5 or a lacto-cerimide would I then need to use a preservative? If so, what preservatives are safe for use in lip products? If making lip balm with water soluble ingredients, it may be really tricky to mix these with your oil soluble ingredients without an emulsifier. If you do manage to mix these successfully, you would need a preservative. Methyl and propyl parabens are both approved for use in lip products. So I’m checking back in with some new information! 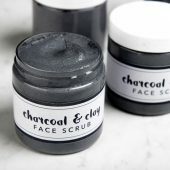 I posted before about the Shea butter and becoming grainy in my lip balms, well I think I have found a solution (that I will test out this weekend). 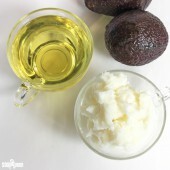 It is recommended to heat shea butter to 175 degrees and to remain heated at that temperature for 20 minutes to avoid the crystalization process and then place in the freezer (recommended) or refrigerator for rapid cool down. Like I said, I’m going to test this out and (crossing my fingers) hope this should work! I am making lip balm with sea kelp, and the sea kelp is not staying suspended. What can I do to stop this. We have never used Sea Kelp in our lip balms before, could you tell us a bit more about your recipe so that we can help you troubleshoot? Hope to hear from you soon! So my vendor said their fragrance oils are skin safe, but do not recommend it in lip balms cause it would change the consistency and do not have a usage ratio. Say I was able to find a way to make the consistency work, would this be safe to use in lip balm if it were a small usage ratio? I believe I’m having the same problem as Carolyn. I added my Shea butter too early and some of my lip balmshave turned grainy after a few weeks of use, but once I start using them, they heat up and are soft again. Are these still ok to use?? 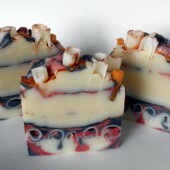 Some of these batches have already been sold, should I recall them? Also, would it help any to re melt and pour again, or do I just scrap them? Hi, I made a batch of lip balm with mango butter, sunflower oil, beeswax, flavoring, and coconut oil. It was fine the first few weeks of using it then it got grainy. I am pretty sure it is the coconut oil because I made another batch with just beeswax and coconut oil and the same thing happened. Have you ever had problems with coconut oil being gritty? 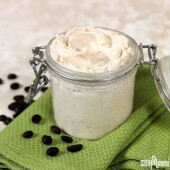 I have never had trouble with shea butter or any other butters being grainy. Sometimes if butters (like Mango or Shea) are heated up to quickly, they can actually cause your lip balms to get a bit grainy. 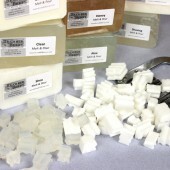 If you are using butters, we always suggest tempering them to add them to your batch. We’ve never had a problem with the Coconut Oil being grainy, and I’m wondering if it might have been the Beeswax not melting all the way?! The more you can tell us about what happened to your batch, the more we are able to pinpoint what is the issue. I looked in the jar of coconut oil and took some and rubbed it in my hand. Even straight out of the bottle the oil was grainy. So I melted the contents and now it is nice and smooth. I don’t know if this is temporarily or permanently fixed. I am just wondering what might have caused this. Please give any suggestions. Thanks! 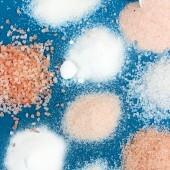 Can you use fragrence oils in a salt scrub? Hi! I was wondering if it is safe to use fragrence oils in your lip balm. Thanks! I’ve been having trouble with graininess ended up at the bottom of my container and can not figure out why. Also, when I try mixing in the color it just clumps at the bottom and sticks to the grains. 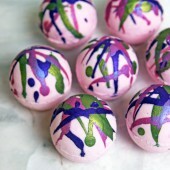 The recipe I used is Colorful Mom’s Lip Balm – Recipe 2 and added white stevia and Passionfruit Rose for flavor and Electric Bubblegum for color. Could it be the stevia that is giving it the graininess? I really love this recipe and would love to continue using it. Tips would be much appreciated. Love you guys! How long will it take for the lip balm to harden after it is poured? Should I place the lid on the lip butter pot or tube right after pouring or after the lip balm has hardened? 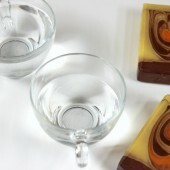 Depending on the temperature, the lip balm should start to harden up 15 – 45 minutes after you have poured. We typically like to leave the lid of the pots and tubes so that the balm can hardened up all the way. 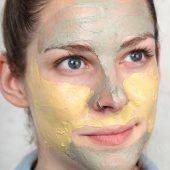 If you want to test your balms to see how they would feel once they have harden, there is a really easy way to do that! Love the lip balm. Do use your recipe and noticed it is smooth but sometimes we have cracking and when we pop open lid, some chunks come out. Also, if we want to use castor oil, does it just replace another oil or you just add it to the basic recipe? Are there exact measurements for this somewhere? With our recipe, we haven’t noticed any cracking or chunks, did you add anything extra to it? Cracking can actually be the result of the lip balm cooling down to quickly, and this is why we don’t suggest sticking them in the fridge or freezer. The cracking can actually be fixed quite easily by remelting the tops of your balm with a heat gun. If you would like to see what the end consistency and result of your lip balms would be, I would suggest the frozen spoon trick. If you wanted to add Castor Oil to your lip recipe you could just put it in place of another liquid fixed oil (like the Sweet Almond in the recipe above), or even use the following recipe which has Castor Oil included. Just be aware that Castor Oil is super viscous and sticky so it will change the texture of the lip balm a bit. I would definitely try it in a small batch first. 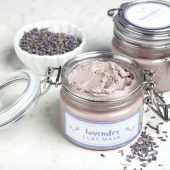 I would like to make a small batch of lip balm (about 1oz)and want to add brambleberry’s stevia, about how much would be a good amount to make it slightly sweet? If you are just making such a small amount of lip balm, you really don’t need a lot of Stevia, as it is very sweet on its own. 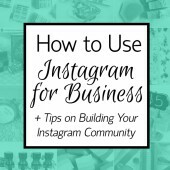 You can always add more, but I would suggest starting out at a 1% usage rate and moving up from there. For your particular recipe, that would be .3 grams. The best way to test if this is enough sweetener for your particular batch is with the frozen spoon trick. 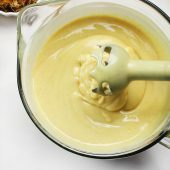 The frozen spoon trick is an easy way to test if you like the consistency, ‘taste’ and feel of the lip balm you are making before it hardens up. All you need to do is stick 1-2 spoons in the freezer about 10 minutes prior to melting your ingredients. Once all of your ingredients are melted, you pull the spoons out of the freezer and stick the tip of it in your melted mixture. It will immediately harden up and be the texture and consistency it would be when your recipe has hardened. Hi, I recently made a batch of lip balm containing beeswax, coconut oil, flax oil, and glycerine. After I poured one into the pot as a test – the wax separated and rose to the top of the surface leaving a softer gel-like product on the bottom. Where did I go wrong? I have checked and double checked assorted recipes and have not found this to be a common problem. Help? ps I love all the tutorials and youtube episodes! Could you tell me a little bit more about the amounts that you used in your recipe? We’ve actually never used glycerin in our lip balms recipes and I’m wondering if that might be the culprit! The frozen spoon trick is a super easy way to test if you like the consistency of the lip balm you are making before it hardens up. Hi i made my first batch of lip balm tonight, the first batch i used strawberry flavoring like you wqould get at a grocery store, but it didnt solidify i guess and seperated andf the balm was mushy :/ should i stick to essential oils? Is that why my balm turned out mushy? Have you ever experienced “sweating” or the oils beading out of your lip balms or body balms? I made a 2 oz batch about a week ago and I noticed some condensation of the oil on top of the balm. I’m not sure if it is due to the ratio of ingredients and temperature of my house. 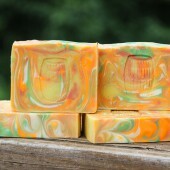 I used 1/2 cup of coconut oil, 3/4 ounce beeswax, 10 drops of lavender EO and 10 drops of tea tree oil. Thanks so much for your help! 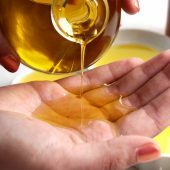 Can I replece the sweet almond oil, for olive oil or sunflower oil? You can substitute Olive or Sunflower Oil for the Sweet Almond Oil, but it may change the consistency and feel of your lip balm. And, you will want to watch the shelf life on the oils you are using. If you use Sunflower Oil (shelf life of about 3 months), your product isn’t going to last as long as one with Olive Oil or Sweet Almond Oil. I made the vanilla latte exactly with the ingredients and measurements. after i poured it about day 4 it started to get grainy. 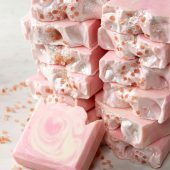 What is the solution for the graininessWe love the glide in this recipe and i want to make it again. thank you for great recipes also. Hi, the recipe above looks great – how long will it last? Can see you mention shelf life above but how long is the shortest life oil used here? For the above recipe, it is going to have a shelf life of about six months to a year depending on how old the Sweet Almond Oil you use is. 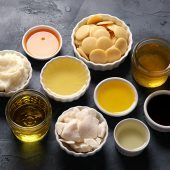 If you’d like to know more about shelf lives, here is a great blog post from the Teach Soap Forums that goes over the most common oils and their shelf lives. I have a question. Is it possible to add one or two tiny drops of Lavender Essential Oil to throw a nice lavender scent to lip balm. That’s a great question, Netje! Anytime you are adding an essential oil to a lip product, you will need to make sure you are using a lip-safe product. 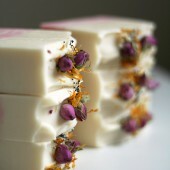 Bramble Berry does carry two lip-safe Lavender Essential Oils, our Hungarian Lavender and our Bulgarian Lavender. P.S. 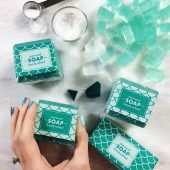 If you are using them in your cold process soap, you would need to make a small test batch as we have only tested them in melt & pour. If I omit the flavoring oil will i need to alter the recipe to get the right texture? I want to make it but I don’t have any flavoring oil yet…. Thanks for all your feedback. Okay so for this recipe I substituted evoo for sweet almond oil, and I omitted the sweetener but added 1t brick red colorant and did everything else exactly like the video showed( I didn’t infuse the oil but I used the same weight of oil) I’m sorry but I’m having the same problem, the slickness is not how it should be. Like I still have to scrape it to get enough on my finger to feel it on y lips, if I simply swirl my finger around its like a glossy bit that comes off but at such a small amount I feel like I have to do that ten times to get enough on (to even feel its there)… I poured not too hot and I followed the recipe exactly as I have with the others. I don’t want like a mushy balm that’ll leak out but what amount of oils might be better to add? It’s just not applicable like it should be.. 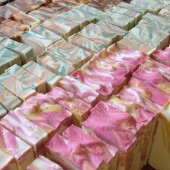 I only poured this bath into 3 tins to test it and the rest is waiting to be poured I hope. Such a pain all the scraping out etc. I also have tried the frozen spoon trick. I’m sorry to hear that your recipe didn’t turn out how you were expecting. Sometimes when ingredients are substituted in a recipe, the consistency can change a bit. From what I’m understanding, it sounds like your lip balm is a little too dry. But, don’t worry, that is totally fixable. 🙂 All you need to do is melt it down again and add a bit more liquid (up to 10%) and let it harden again. I hope this helps! I’m usin lip balm tins so its not the same application as a Chapstick tube .. Could that also be part of the problem? I’m having a really difficult time with lip balms. It’s so frustratin to read that it’s the easiest and funniest DIY project to work with because they’re seriously not comin out the way iD like them to. 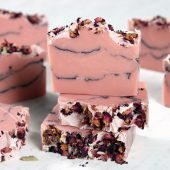 I’ve tried a couple bramble berry recipes and even the lip butter, I’m using a scale as well and all bramble berry products so can’t figure out what is up. The balms either come out too soft (the butter did) or i have to like scrape it to get it on my lip because when I slide my finger in the tip I have to do it for ever an it’s just not enough that comes out. I’ve played with measurements and reduced beeswax etc Etc but can’t seem to understand this. I’ve also used bb brick red pigment and electric bubblegum and coral lip safe color ants and they barely show up at all. When I inc the measurements most of it is left in the dish which I mixed it with the oil in. Plz plz plz can you direct me to a good safe fool proof recipe? I’d like to master it and order more products but at the rate I’m going ill run our of what I have before I get it right :/ and can’t afford to just order more to play around with. Plz help! I’m so sorry to hear that you are having such trouble with the lip balm, I know that can be super frustrating. But, I am here to help you out and troubleshoot what is going on. Could you walk me through your process so I can help pinpoint the issue? 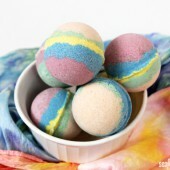 for making bath fizzies can i use food coloring instead? 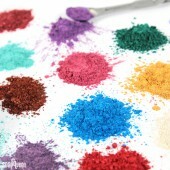 what about the powder coloring for making cakes or frosting? can that same coloring be used for making chapstick? 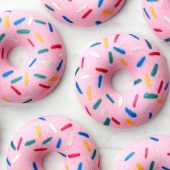 We don’t recommend using food coloring for the bath fizzies because the FD&C colorants can bleed and leave a ring around your bathtub. 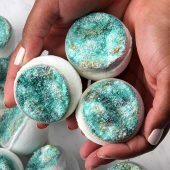 We typically like using the La Bomb colorants or micas for our bath fizzies because we have found that they work the best. i was wondering if anyone knew where i could purchase blank labels w/ rounded corners for the larger balm slider tins? the dimensions are 1.25″ x 3″…anyone else finding these difficult to locate? I really like your lip balm recipes, I’ve had lots of fun replicating them. There is one problem I can’t really figure out. I’m trying to get a milkier/whiter color lip balm, as opposed to the light yellow color, which is a result of the natural color of the oils. I’ve tried using the Super Pearly White mica but that doesn’t change the color, it just makes it shimmer. I’ve also tried using lighter color butters and oils, but that’s a bit limiting as darker oils are a little greasier. Any suggestions for getting a whiter, milky color for the lip balm? 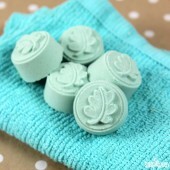 It is just the nature of lip balms and butters to have that slight yellow tinge to it because of the ingredients used. You can try using lighter oils in conjunction with a small pinch of Titanium Dioxide to see if that does the trick. I actually had the oil rise to the top and when I turned the tubes upside down, alot of the lipsmackin sweetener and flavor oil drained out…I still think I might remelt and repour just to be safe.. I am using the vegan lip balm base, and accidentally added too much flavor oil to my batch which is now in tubes…will the excess flavor rise to the top, or will it solidify and make the balm softer? Is there anything I can do to fix it? That’s a great question. Typically we like to use .25 ounce of lip flavoring per 10 ounce batches, but if you’ve accidently added too much, you can always melt down your lip balm and add a bit extra base to help even it out. Wondering if you could update your list of lip safe colorants? There are some that are described as lip safe that are not on the list (apricot blush,surplus sienna, etc). Also, some are described as cosmetic or mineral make up (Peach shimmer, etc), but it is not clear if they are lip safe. I’m working on some new colors and don’t want to limit myself if I don’t have to. Thanks! We are so happy to hear that the recipe turned so well for you. If you are feeling that it is just too greasy for your lips, I’d suggest adding a little less coconut oil the next time you make the quick and easy recipe. I love this! So natural! 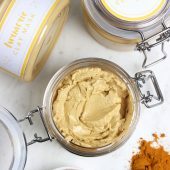 Does beeswax make the lip balm firmer than using soy wax? I have only used soy wax and my lip balm is too soft. 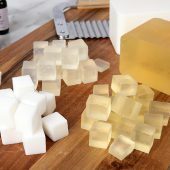 Is there any benifits using beeswax over soy wax? 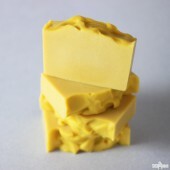 All the recipes that I have seen always use beeswax. Thank you for your patience with a newbie! 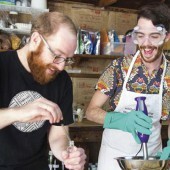 I would like to know the best temperature for pouring balms. sometimes it harden so well but some other times it hardens but it is still liquid from inside, I noticed that this happens with large containers. While we don’t have a ‘best’ temperature for pouring lip balms, you don’t want too pour too hot (think steaming) because the outside will cool faster then the inside (when you pour) and can cause divots. But, we suggesting keeping it under 160F. I hope this helps. 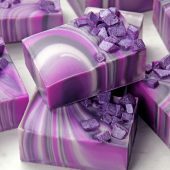 Hi, if I don’t want to use any colorant, will I need to alter the measurements in the above recipe or will it be okay to use the measurements given even though I will not be adding the colorant? I hope that makes sense. 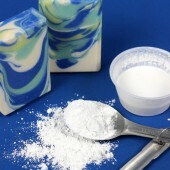 When looking at where you talk about labeling, you list titanium dioxide as an ingredient. However, I do not see where that is listed in the recipe. Can you please clarify? Thanks. That is so exciting that you are making your own lipstick! A great way to get a opaque color is to mix your lip-safe colorant with Titanium Dioxide, as it will give it that colorful, yet opaque look you are going for. And, if you want the color on your lips to be more visible, all you need to do is add more color! Should a preservative be added to the lip balm? How long will it last without a preservative? No, you don’t need a preservative since the product doesn’t have any water in it. 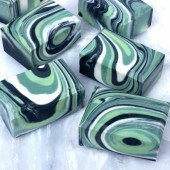 You could use an antioxidant in it (Vitamin E, GSE, ROE) to extend the shelf life of the product but it isn’t necessary. The shelf life of your product is always the shelf life of the shortest-lasting oil. Castor oil is a definite MUST in my lip balms! Is there an easy way to add SPF to lip balms? I make an orange variety with orange essential oils, and though I’ve never had issues with it now I’m worried that it may cause sunburns. Oops, orange essential oil, not “oils”. Titanium dioxide will help reflect sunlight away from your lips HOWEVER: you cannot make any claims as to SPF without having this tested in a lab which is very costly. Sunscreen is very highly regulated. I’d recommend a tiny pinch of titanium dioxide as well as a butter and/or oil that has known sun-protecting qualities (such as mango butter). Since Sunscreen/SPF is considered a drug by the FDA you cannot make any claims about your product protecting you from the sun. But you can use titanium dioxide or zinc oxide as they have been known to help with sun protection. With your lip balms, you are not going to want to use orange essential oils as they are photosensitizers and can burn your lips if you wear it out in the sun. I think that Candi has some great suggestions about using butters and oils that have known sun-protecting qualities. I was under the impression that shea butter and cocoa butter need to be heated for a spell to ‘temper’, so any product they went into didn’t come out grainy. Is that wrong, or does it depend on what caliber of butter you’re using? For the recipe, how much lip balm does it make? How many tubes or tins are needed? Thanks! The simple recipe listed at the top makes about 3.6 ounces of lip balm, so I’d suggest having around 15 Slidey Lip Tins or Clear Chapstick Tubes for that project! I second it on castor oil! When I found an old tube in my ski jacket and it was still good, not grainy or “old oil” smelling, I made that formula my go to formula for lip balms. 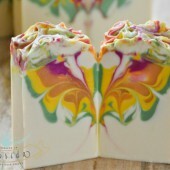 Castor oil, cocoa butter and beeswax..
PS Love the “Talk It Out Tuesdays. My favorite ingredient to put in lip balm is a bit of castor oil for shine. Second is definitely Gold Sparkle Mica. Shine with a whole lot of shimmer!